The Neuroscience Research Unit includes members from several research groups of the Division of Surgery and Clinical Neuroscience, in Norwegian (Forskningsenhet for nevrofag) press here. The participating research groups study a variety of brain disorders using advanced methods. Many studies include the use of molecular biological methods, and several groups are focusing on the genetic basis of brain disorders. 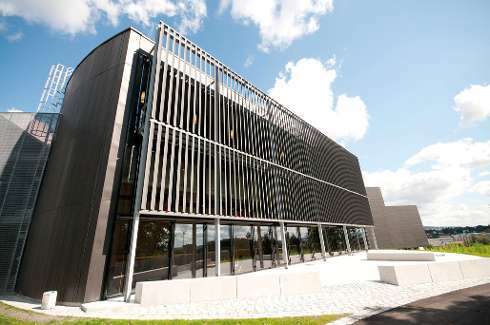 The Neuroscience Research Unit has since 2013 been localised in the new wing of Domus Medica, adjacent to the hospital buildings at Rikshospitalet. Domus medica provides an excellent environment for laboratory based studies, with modern laboratory equipment and new offices. 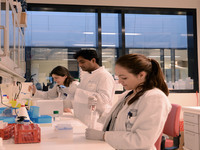 The location enables interaction within the Unit and with other scientists at Oslo University Hospital and the University of Oslo. News from the group, recent publications and further information are available at the sites of each research group. A seminar on "Imaging Research in neurodegenerative disorders" was arranged Thursday 18/10-2018 i at Domus Medica 4. Lars Westlye acted as external evaluator. 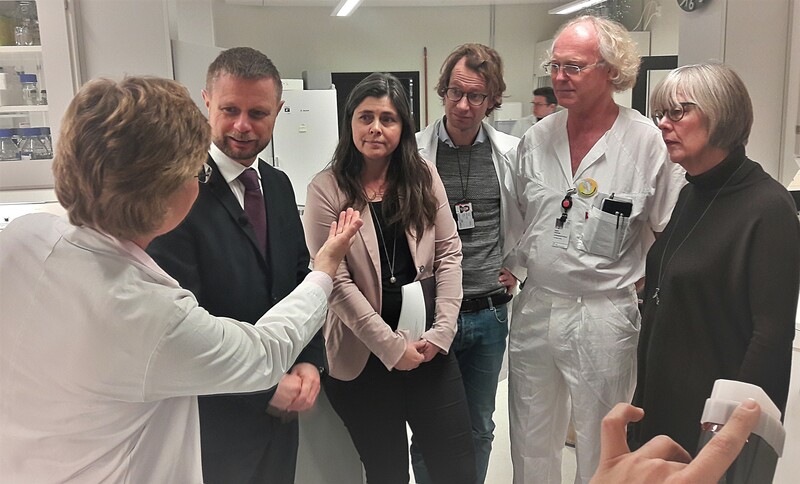 In connection with the release of the National brain-health strategy 2018-2024, Bent Høie visited or lab. 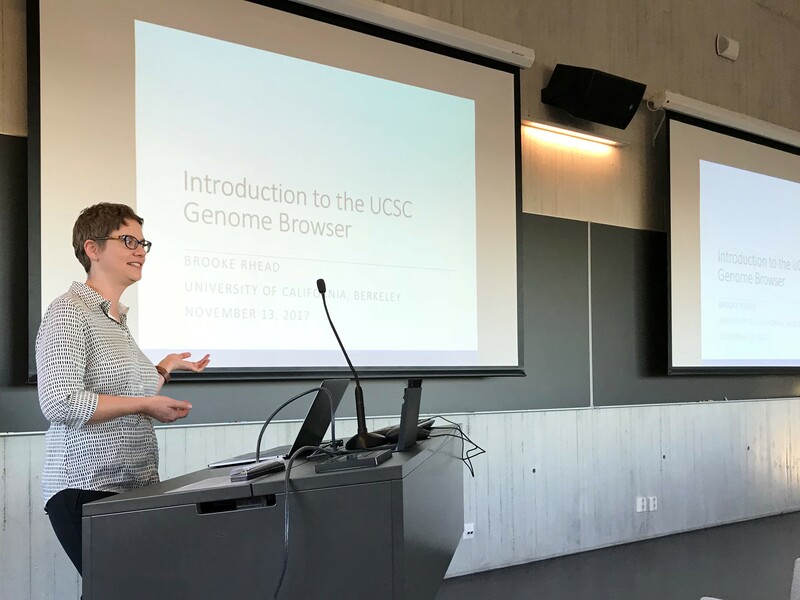 Monday and Tuesday 13.-14. of November Brooke Rhead from the University of San Fransisco Berkeley, USA, visited our research unit and had a 1,5 day of work shop in bioinformatics. Tuesday we had an exciting seminar with external evaluator Professor Tom Hemming Karlsen. We thank OUS for providing funding for these seminars and thanks to Brooke and Tom for their effort and important input. Thursday 21.09.17 the Neuroscience Research Unit in collaboration with the Department of Radiology arranged a seminar on MR and CT in brain diseases. 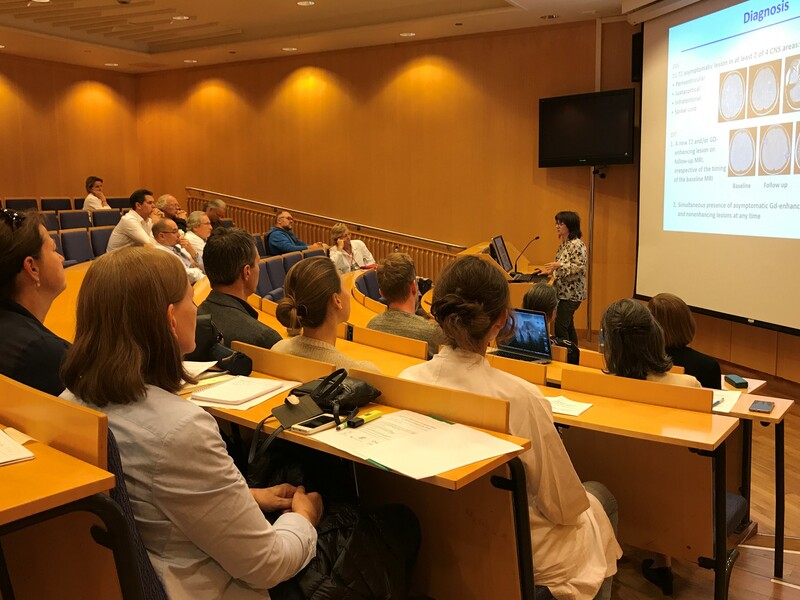 Dr. Maria Rocca, who is chief of unit and a group leader at the Division of Neuroscience, Neuroimaging of CNS White Matter lab at the Hospital of San Raffaele, Milan, Italy was among the speakers in addition to several Norwegian speakers from the Oslo University Hospital/University of Oslo. Professor Stephan Sawcer from the University of Cambridge, UK, joined as an external science evaluator at our seminar for researchers at the Neuroscience Research Unit. PhD and master students gave short blitz presentation of their research projects. We also had talks from different disciplines within our department in order to learn what kind of techniques and expertise are at the department. The seminar was at Refsnes Gods in Moss and we also had the chance to enjoy the good food and atmosphere at this location. Tanks to all contributors! 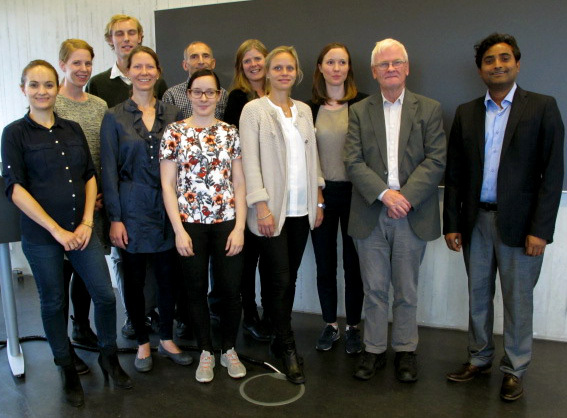 Tuesday the 15th of September 2015, Neuroscience Research Unit arranged a PhD evaluation seminar where Professor Emeritus Svein Ivar Mellgren acted as external evaluator for PhD projects presented by 12 PhD students in our unit. 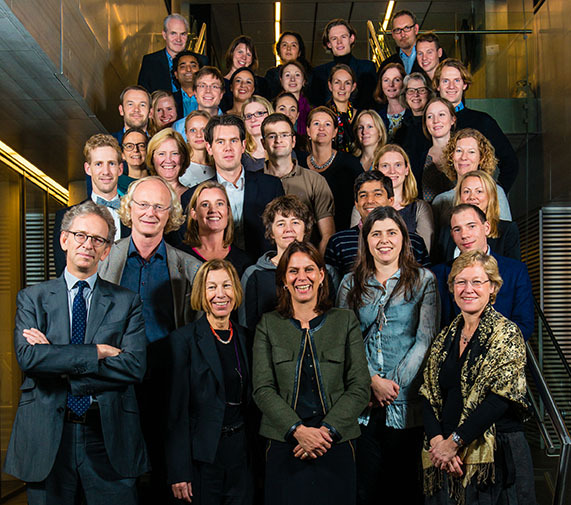 In front from the left: Ingvild Sørum Leikfoss, Agnes Balint Bjørke, Cecilie Nome, Siri Rydning, Victoria Berge-Seidl, Svein Ivar Mellgren, Pankaj Kumar Keshari, back from the left: Cecilia Smith Simonsen, Lars Christian Haugli Bråten, Piotr Sowa and Ina Skaara Brorson (photo: Tone Berge). Friday the 31st of October, Professor Alexis Brice and Dr. Alexandra Dürr from the Brain and Spine Institute in Paris visited the Neuroscience Research Unit at Domus Medica 4.